In advance of the Solicitors Regulation Authority’s ‘Continuing Competence’ framework becoming mandatory on 1 November 2016, Landmark Information Group is officially launching today the ‘Landmark Academy’. This new online portal gives solicitors access to easy-to-digest webinars and guidance, free of charge, on topical environmental reports and risk issues, and allows solicitors to clearly demonstrate compliance to the SRA. The first three modules look at flood risk including the impact of the Flood Re scheme and the consequent changes to due diligence that will be needed in most conveyancing transactions, to help clients understand and prepare for the impact of flooding on their target property. All content for the Academy is being produced in conjunction with leading industry experts, with the first Flood module presented by renowned property solicitor, Sue Highmore, who has an established pedigree in this area. The Landmark Academy portal automatically tracks which training materials have been accessed, enabling solicitors to include an audit of this information in their annual SRA declaration, demonstrating the steps taken to reflect on and action any identified learning and development needs. While the new Continuing Competency framework will be fully implemented on 1 November, solicitors are able to start using the Landmark Academy immediately. Simon Boyle, Environmental Law Director, Landmark Information Group said: “The Landmark Academy is designed to help solicitors meet the evolving training and competency requirements that have been set out by the SRA. 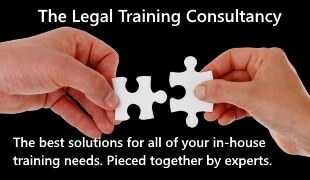 “By being able to access training modules and webinars on the go – whether it’s in the office or on a mobile device – solicitors can access expert education programmes and guidance wherever they are, whenever they want, via any device. To provide the very best online training, Landmark has partnered with leading industry experts to contribute to the Academy. This includes Professor Bob Lee, Head of the Law School and the Director of the Centre for Legal Education and Research at the University of Birmingham. In addition, Professor Lee has acted as specialist adviser to the European Parliament, the European Commission, the House of Commons and the National Assembly for Wales. Landmark has also partnered with environmental law expert and author of the Law Society’s Environmental Law Handbook, Andrew Wiseman, who will be playing a major role in delivering modules to the Academy. By registering with the Landmark Academy now, solicitors will be one step ahead of the 1 November 2016 deadline. The Landmark Academy is free to use – simply register for an account at https://www.landmarkacademyhub.co.uk/user/login.